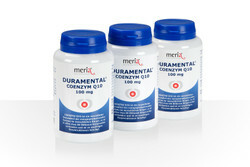 All meria® products are recommended for long-term use. Also available in German pharmacies. 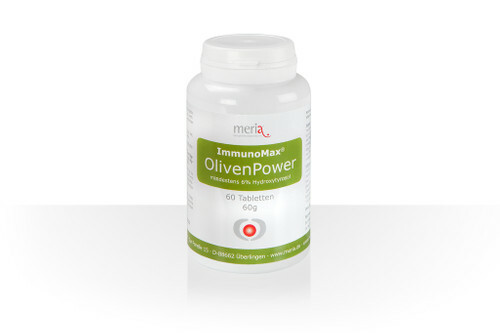 It is involved in almost all processes of oxidative energy generation. The body‘s own synthesis of Q10 is very similar to that of cholesterol so that drugs which reduce the cholesterol synthesis ("statins") at the same time also endanger the formation of Q10. An obvious conclusion, therefore is to use statins only together with a well-dosed Q10 dietary supplement. 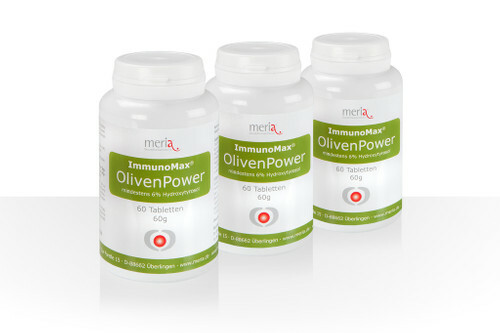 As an antioxidant produced by the body it contributes to the protection of the cell components exposed to oxidative stress. 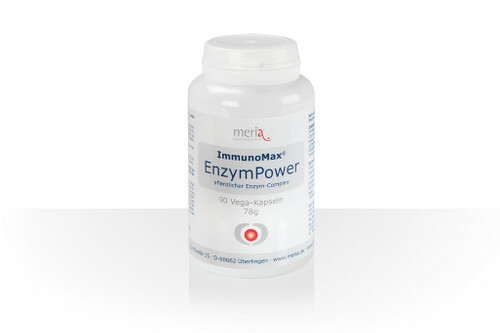 In the case of weight-reducing diets Coenzyme Q10 can be taken additionally in order to improve nutrient supply and support the energy metabolism. It has a glutathione- (GSH) saving effect as it reacts with oxidants instead of GSH. In return, GSH is able to rapidly regenerate oxidized Q10. The COENZYME Q10 (ubiquinone) used for DURAMENTAL® is obtained purely through fermentation; the capsule is made from vegetable material. DURAMENTAL® COENZYM Q10 100mg is an excellent complementary product to our proven DURAMENTAL® GLUTATHION and in this combination provides a valuable support for your health. We deliver in pharmacy quality! All oral meria® products have a Marketability Certificate issued by an officially appointed and sworn food expert. 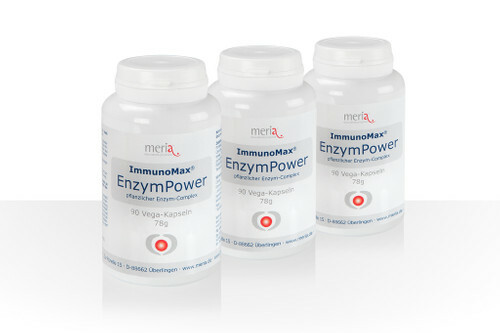 2 capsules a day to be taken with plenty of water before or during meals. Food supplements should not be used as a substitute for a balanced and varied diet as well as a healthy lifestyle. Filler medium: Microcrystalline cellulose; Coenzyme Q 10; Capsule: HPMC hydroxypropylmethylcellulose (purely vegetable); parting agents: silicon dioxide, magnesium salts of food fatty acids (purely vegetable). Food supplements should not be used as a substitute for a balanced and varied diet as well as a healthy lifestyle. The recommended daily intake should not be exceeded. Please keep the product out of the reach of small children.